Dogs have served as man’s faithful companions and underpaid workers for thousands of years. Though not all have appreciated the effort, some cultures duly paid their respects in odd or heartwarming fashions. Costa Rica’s Territorio de Zaguates, the land of the strays, is a dog lover’s dream come true. In Alajuela, dogs of all ages and appearances are welcome to live out their lives frolicking in tropical bliss. The ranch-turned-dog-sanctuary is one of the world’s most lavish no-kill shelters. Each dog is allowed to roam in the sunny, stress-free environment, safe from motorists, dogcatchers, and other municipal dangers. The liberty to commingle has also produced some of the world’s most unlikely breeds, including a chubby-tailed German dobernauzer. The adventure began with Scott, a stray rescued by the sanctuary’s cofounders. Ten years later, nearly 1,000 dogs are now treated like royalty by a group of amazing volunteers. But it doesn’t come cheap. The dogs go through $10,000 of kibble a month as well as $10,000 in medical expenses, grooming supplies, and squeaky bones. The ancient Irish revered their eponymous hounds highly enough to wage war, with past laws restricting wolfhound ownership to kings and nobles. Lesser nobility were limited to two dogs, so a prestigious figure’s status could be gleaned by his stable of wolfhounds. The hound also features prominently in lore. Legend has it that one day in the 13th century, proud wolfhound owner Prince Llywelyn went hunting but couldn’t find his trusty companion, Gelert. As Llywelyn returned to his palace, his loyal hound welcomed him with a bloodstained muzzle. Panicked, Llywelyn ran inside to find his son’s crib overturned and splattered with gore. Enraged, he turned his blade on Gelert before noticing his son alive and well next to a dead wolf. Oops! The devastated Llywelyn buried his beloved Gelert outside the castle where all could revel in his brave deeds. According to numerous burial sites in North and South America, indigenous Americans enjoyed the companionship of dogs. Canines were loyal “beasts of burden” and vermin exterminators that benefited from human protection and the odd table scraps. At the Janey B. Goode site in southern Illinois, archaeologists unearthed dozens of carefully buried dogs, a few of them in pairs, placed back to back. The care taken to bury these animals suggests an ancient tenderness between man and pet—at least between some of them. At nearby Cahokia, North America’s first urban center, archaeologists also found charred bones dumped in the equivalent kitchen midden. 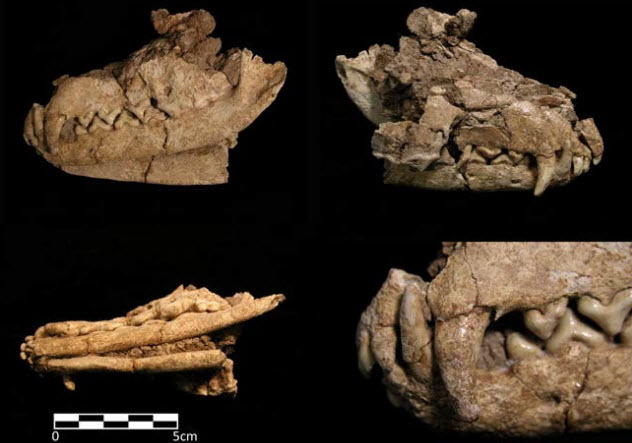 After analyzing the remains of 84 dogs, researchers found that dogs migrated to the “New World” only 10,000 years ago, long after humans had crossed the land bridge from Siberia. 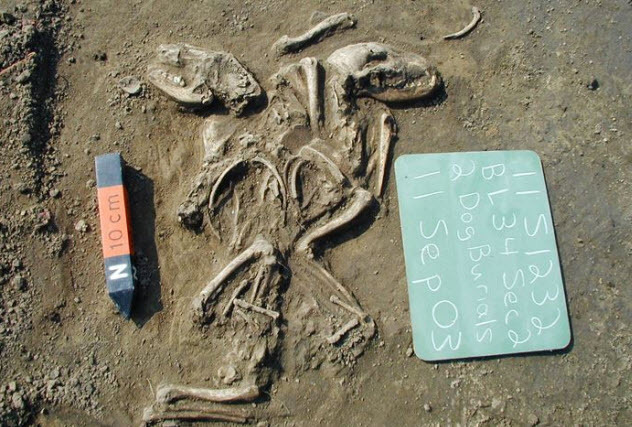 The dog burials revealed a surprising variety of types, though a lack of diversity in some populations suggests intentional breeding efforts. The fearsome stone dogs guarding shrine entryways are known as komainu. 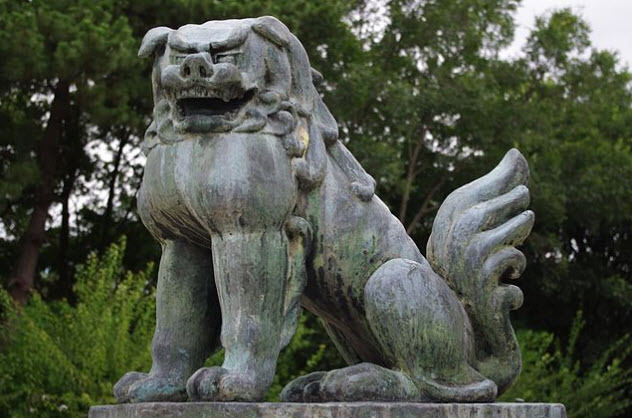 It’s unknown whether the mythical creatures arrived in Japan via Korea or China, but the ones now immortalized as dogs appear to have originated from Indian lion statues. Lions are the preachers and protectors of the dharma (Buddhist code), and the Buddha’s doctrine is known as the “lion’s roar.” Such beasts are on display at Sarnath in India, where four lions upon an Ashokan pillar continue to spread the dharma at the site of the Buddha’s first lecture. Through Indian Buddhism, the iconography popped up in China around the third century and then in Korea, where the creatures received wacky accessories like wings and horns. A wooden, indoor version popped up in Japan during the Heian period (794–1185) and eventually evolved into larger, gnarlier, outdoor creatures during the Edo period (1603–1867). Every autumn, Hindus celebrate Diwali, the festival of lights. It’s part Mardi Gras, part Christmas. During the five-day religious festival, people spin tales at brightly lit parties and then exchange gifts and kindness. Tihar, the Nepalese version, celebrates dogs on the second day. 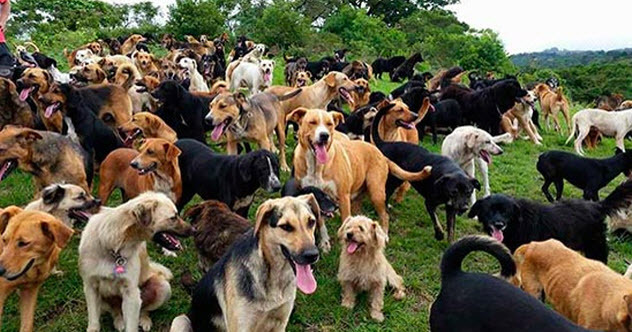 Kukur Tihar is like a massive birthday party for all dogs—past, present, and future. The goal is to overwhelm all canines with affection, so strays are celebrated as lovingly as pets and treated like kings for a day. Revelers even leave delicious, fatty foods outside for street dogs, ensuring that no canine goes unfed. 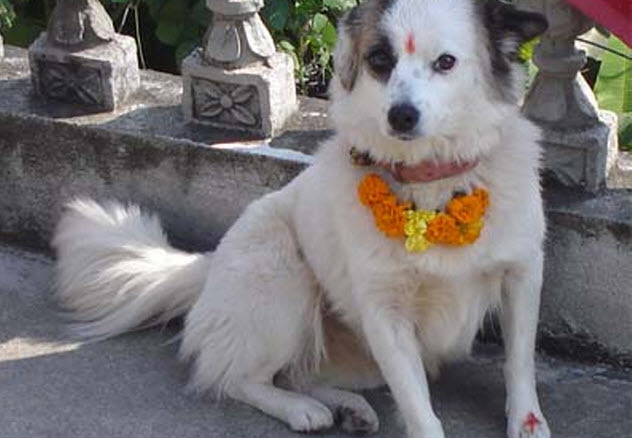 Every dog receives a floral necklace (malla) and a red mark on the forehead (tika). These symbols mark the dog as a sacred spirit to be honored. The festival has gained worldwide fame, with dog lovers everywhere showing off their bedecked pets on Instagram. At an ancient cemetery in Jordan’s Wadi Ziqlab river valley, archaeologists discovered the remains of 11 humans, their trinkets, and a fox. The site at ‘Uyun al-Hammam dates back 16,500 years and was probably inhabited by a pre-Natufian people, the predecessors to history’s first farmers. Around 14,500 years ago, the Levant-dwelling Natufians tended wild wheats and oats and gained fame for their love of dogs. It appears that families routinely interred their pooches, with one woman’s body positioned as if petting her pup. The compassionately buried fox may suggest that canines were no longer regarded as tools or helpers during this period but as companions. At one point, the fox and its owner were moved, although the duo was reburied together, possibly to immortalize the bond of BFFs. The fox suggests that humans may have warmed up to the canid family by befriending foxes before replacing them with dogs. 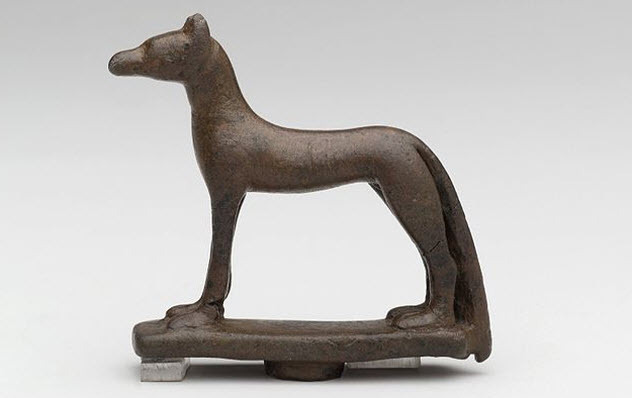 The ancient Egyptians are known as cat lovers, but canids also filled prestigious niches in their panoply of deities. Everyone knows Anubis, but before him, the jackal-headed Wepwawet served as overseer of the dead. Wepwawet, the son of Isis, protected the deceased as they navigated the underworld. Some believe that he began the ritual of opening the deceased individual’s mouth, a ceremony to gift back the abilities enjoyed in life. Wepwawet also moonlighted as a scout for the marching Egyptian armies. In his free time, Wepwawet accompanied the king on his journeys, earning the not very subtle title of “one with the sharp arrow who is more powerful than the gods.” Wepwawet also served as the local cemetery deity at Abydos and as lord of that necropolis. Eventually, Wepwawet was displaced by Osiris and his funerary duties were handed over to the now more famous Anubis. 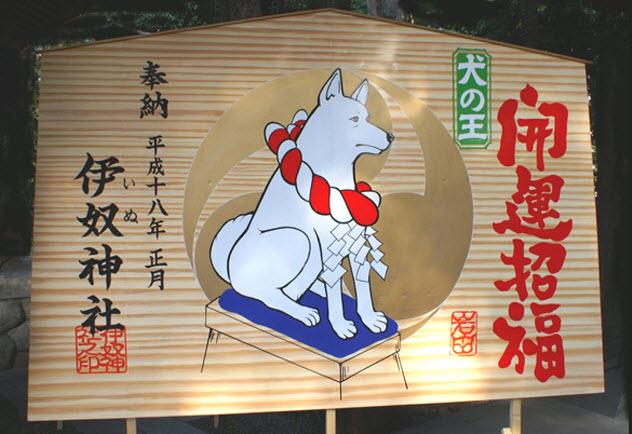 The Inu Jinja shrine in Aichi Prefecture’s capital city of Nagoya houses the soul of a deity, the King of Dogs. Legend has it that a sorcerer once crafted a magic wand to protect the area from devastating floods. Instead of showing thanks, the residents cracked open the enchanted wand and discovered a puzzling scroll with the images of four dogs. Of course, this drained the wand of its powers. To repent and renew the wand’s protective properties, the villagers buried it and erected a shrine there, decorated with images of the King of Dogs. 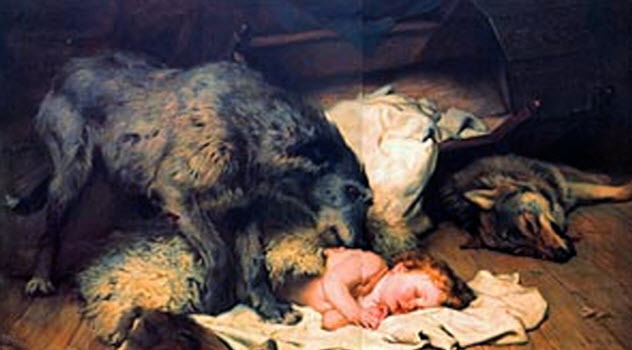 Dogs also serve as the unofficial patron saints of painless births. On the “dog day” during the fifth month of pregnancy, expectant mothers may visit the shrine for a canine blessing. Native Americans always displayed a reverence for nature, especially wolves. They realized hundreds of years ago that wolves kept their ecosystem in check and venerated these beautiful animals as totems. 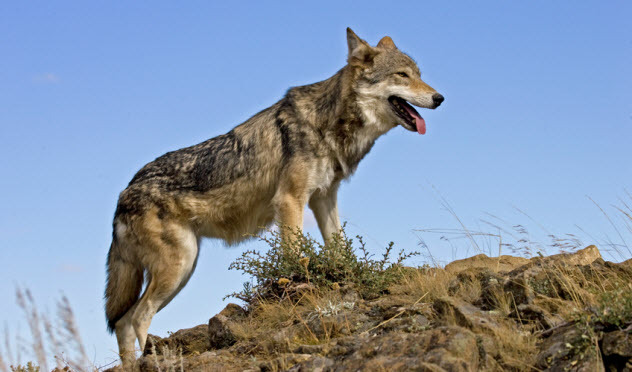 The Shoshone (aka the Snake Nation) that inhabited either side of the Rockies adopted a wolf as their creator god. In contrast, the coyote was considered a universal trickster. Wolf had great wisdom and the power to revive the deceased. One day, the devious Coyote, believing that people loved Wolf for his ability to raise the dead, argued that Earth was not big enough for mass resurrection. But Coyote changed his stance when a rattlesnake envenomated his son. Coyote begged Wolf to bring back his son, but stone-faced Wolf reminded Coyote of his previous request. From that moment, Wolf never dabbled in resurrection again and the world came to know sadness. Established in 1899 in Asnieres-sur-Seine near Paris, Le Cimetiere des Chiens et Autre Animaux Domestiques (“cemetery of dogs and assorted animals”) is the oldest pet cemetery in the world and celebrates dogs especially. 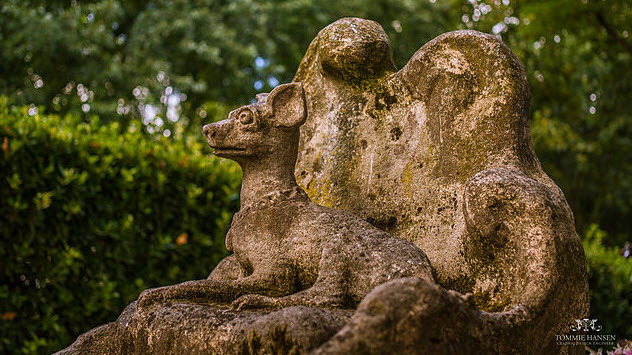 Many of the cemetery’s 40,000 stone graves are shaped like doghouses and decorated with statues of the reposed. The cemetery also boasts a monument to history’s most famous rescue dog, Barry the Saint Bernard. According to lore, Barry saved 40 lives in Switzerland’s treacherous Saint Bernard Pass before being bayoneted by a Napoleonic soldier who mistook him for a wolf. In reality, Barry died peacefully in his bed after a successful career. The real-life Rin Tin Tin is also buried here. Living animals are accommodated, too, with a stray cat sanctuary and a feedery located around back.